Data analytics is transforming the accounting and finance professions. For the most in-demand positions, deep knowledge of accounting and finance is no longer enough. The demand for data-driven analyses and strategies grows daily. While many university data analysis programs remain focused on IT services, our program for accounting and finance professionals focuses on the analytical skills most needed in the accounting and finance fields. The Graduate Certificate program helps professionals develop their financial data analytical skills and achieve their career goals. With convenient night classes taught by outstanding faculty members with real-world experience, our graduate curriculum can be easily customized. The 18-hour certificate may be used as a concentration in our MBA program, allowing students to earn both the MBA degree and the Graduate Certificate in as little as 36 hours. Students also benefit from networking opportunities with accounting and finance professionals and organizations in the metropolitan area. The faculty are active in their professional societies (CPA, CFA, CIA), ensuring the curriculum responds to the latest market demands. 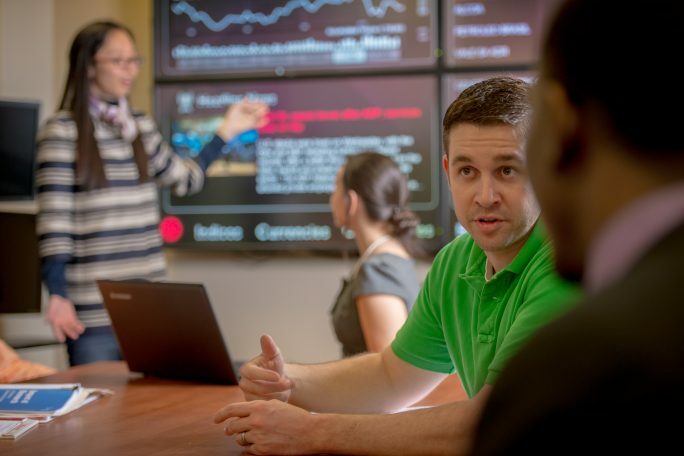 The Graduate Certificate in Financial Data Analytics is for anyone with a bachelor’s degree in accounting or finance seeking additional coursework to improve data analytics skills and abilities. The certificate will also help you satisfy the 150-hour requirement for CPA licensure. A bachelor’s degree in accounting or finance from an accredited institution of higher education with a GPA of at least 2.8 (4.0 scale), a 3.0 in the last 60 hours, or a 3.2 in the last 30 hours. The GMAT exam is not required. Current UA Little Rock College of Business graduate students will receive automatic admission. Admission to the certificate program is not admission to the MBA program.